This review has been a long time coming. 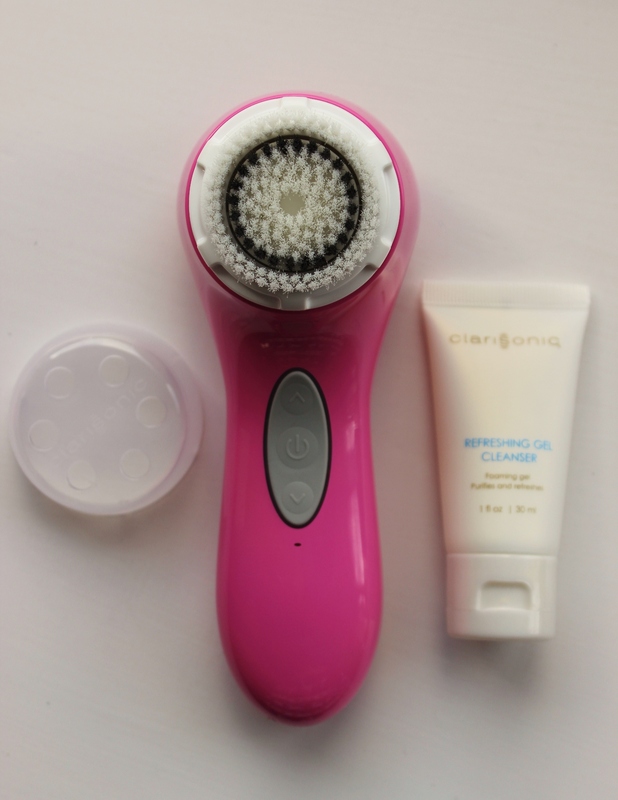 When I receive skincare products I like to give them at least 4 weeks to work, even longer if I can, but with The Clarisonic Aria* I’ve given it around 3 months of proper use so I can share with you a completely balanced and well-rounded post. Let’s face it, Clarisonic’s are expensive and those with acne prone skin will know that dropping over £150 on a skincare product that very well might not agree with your temperamental skin is not a decision we make lightly, so here is my Clarisonic experience from start to finish. 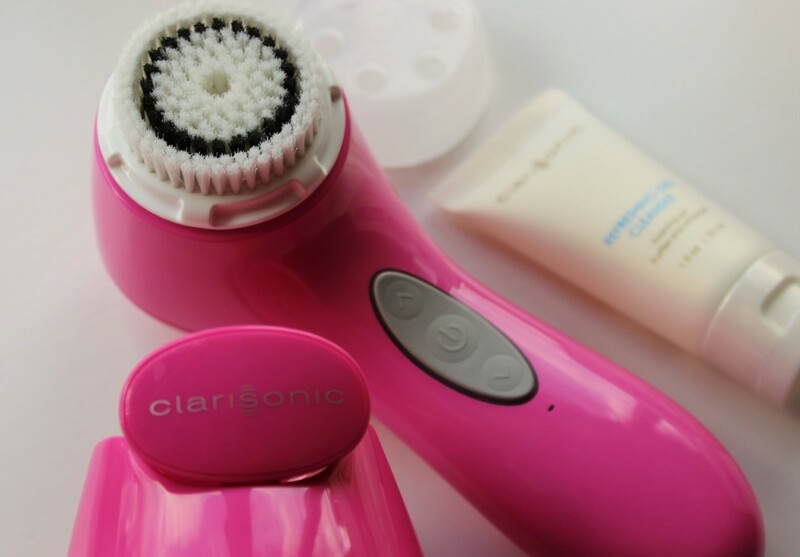 For those who aren’t aware, Clarisonics are a handheld daily exfoliation and cleansing device that helps to clean and massage the skin using sonic waves. 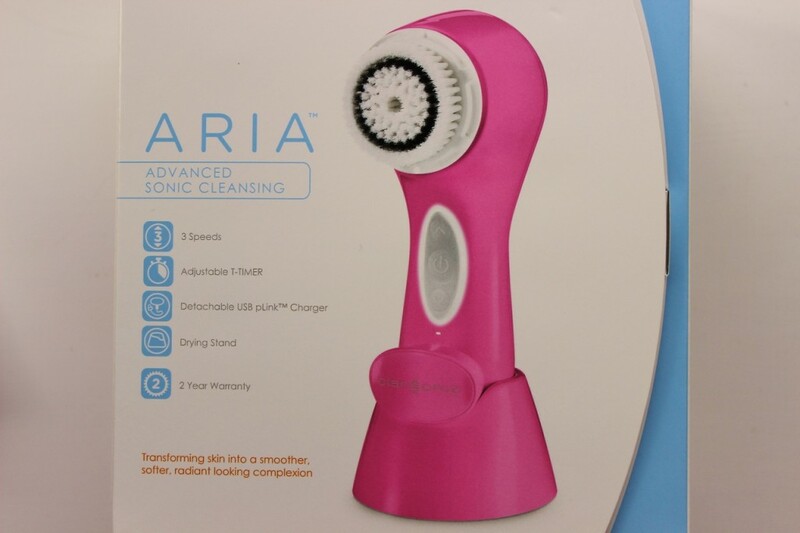 The Clarisonic Aria is a new model for the Clarisonic range with a few new features. You can see a handy comparison chart HERE but in a nutshell the Aria has three speed/intensity settings which you can vary depending on the exfoliation you need. It comes with a very clever charging station that regenerates your batteries without need to plug into the clarasonic itself making it nicely waterproof and safe. You can change the heads easily and one charge lasts for a good week of use. It comes with everything you need to get started – the handset, standard brush head, charger, instructions and a little bottle of cleanser – just take it out of the box and go! My skin is acne prone (recovering from years of terrible acne at school, frequent small breakouts still and a lot of scarring) and is fairly oily. After 2-3 weeks of using my Clarisonic it was red raw, dry, flaking and I had a giant breakout around my chin, over my cheeks and all over my forehead. It was a disaster and for the first time in many years I was incredibly self-conscious about my skin once more and it was really getting me down. I switched to my Kiehls Ultra Cleanser* which was a bit gentler than the Clarisonic sample but my skin was so damaged i was still having terrible problems. I contacted my Clarisonic PR ladies to explain what was happening about ready to give up when they sent me an adjustment of products which completely saved this review. They sent through a Delicate Clarisonic Brush Head* to replace my standard one and suggested I knock it down to the lowest setting, I also started using my Clarisonic just once a day at night while it healed and got itself back to normal. 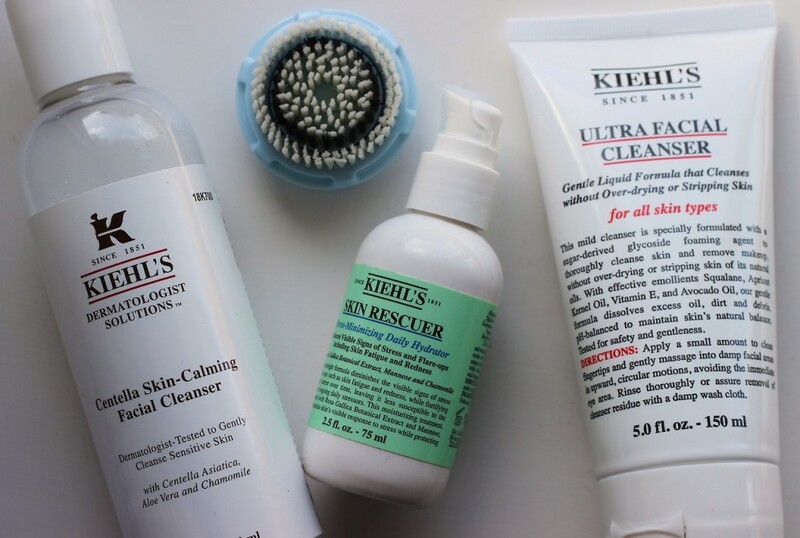 They also sent through two miracle Kiehls prodcts (seriously, can Kiehls do no wrong?!) which really helped settle my skin. Their super gentle Centella Skin-Calming Facial Cleanser* feels almost like a foaming balm on the skin and cleans everything away without stripping natural oils, and their Skin Rescuer Moisturiser* is just a godsend. It helps tone down any redness (which works almost instantly, great for rosacea sufferers I’d imagine too), sooth and moisturise the skin without feeling greasy or over-oily. I’d highly recommend both of these products even if you’re not going down the Clarasonic route, they completely turned my skin around. After switching to my sensitive brush head, cleansing once a day and using my sensitive products from Kiehls I’m incredibly happy to say that my skin totally cleared up and I’ve found my perfect Clarisonic balance. I’m still getting the exofoliation I need, enjoying the benefits of a super clean face and my breakouts have all but stopped. I’ve also noticed a huge reduction of pore size on my cheeks which is a real problem for me so I’m very happy with this little side effect. I honestly couldn’t be happier with my cleansing regime now and I’m really pleased (and proud) I stuck with my Clarisonic through the awful purging stage because it’s really paid off. Now i’m not saying the Clarisonic will work for everyone and I will ways make this disclaimer whenever recommending skincare products but it’s really worked for me in the end and I’m loving the results. So if you were thinking about giving it a go then consider this another review on the ‘for’ pile. 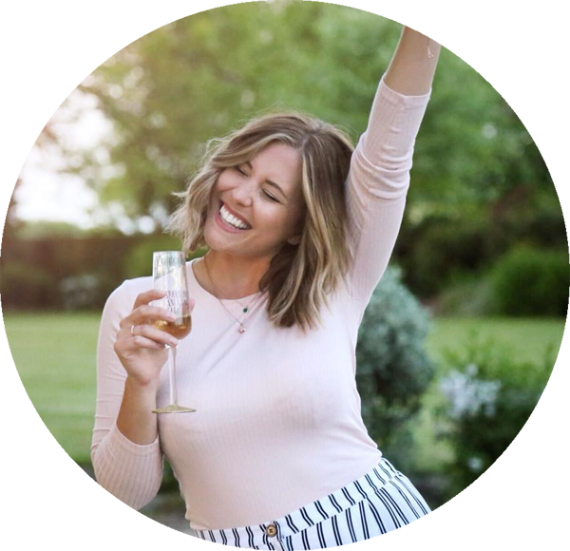 Don’t be put off by the purging phase but do listen to your skin and tailor your products – winner winner, chicken dinner! 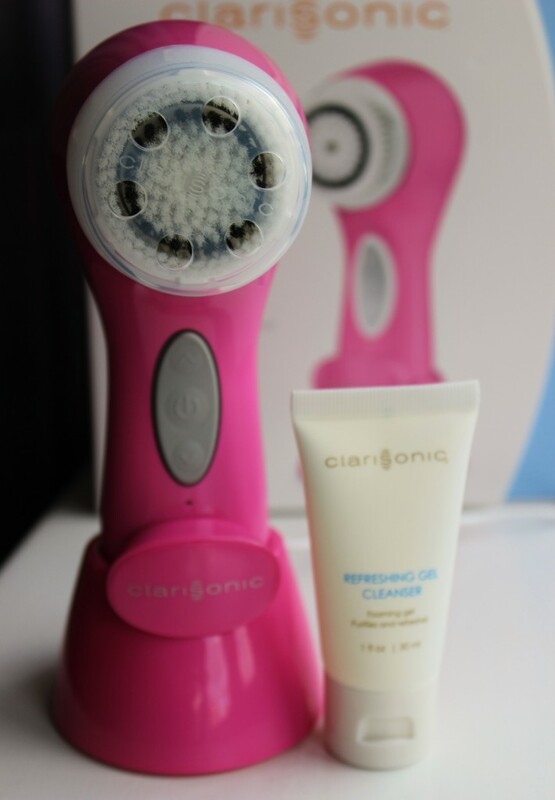 You can find the Clarisonic Aria HERE for £155. Do you own a clarisonic? Did you go through the purging phase? What do you use with yours and has it worked for you?